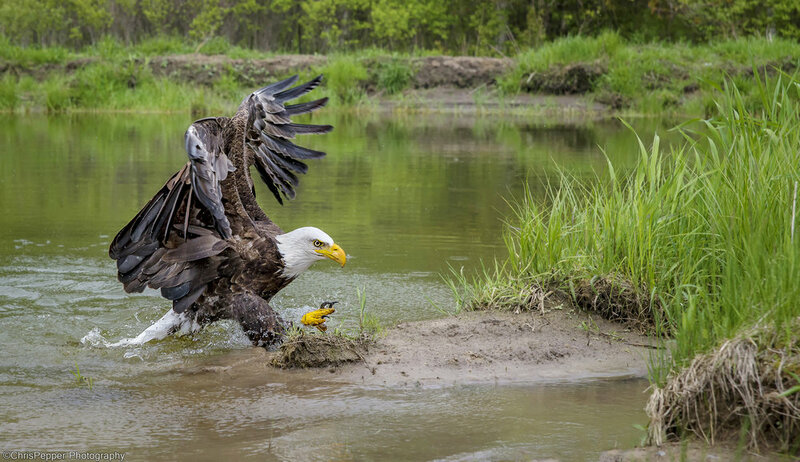 This photo tour is centered on the largest bald eagle migration in North America. Between 2000 to 8000 bald eagles find their way to this area beginning in October to feed on the spawning salmon. They then stay in the area until later in the winter months to have their young before returning to summer in Northern BC and the Yukon. Your guide(s) for this tour will know the best locations for photographing the eagles in the Fraser Valley that is surrounded by the Cascade Mountain range. This is the fourth year we have returned to this location. We will also visit between peak eagle viewing time. We have seen the following species at these locations in previous years: Snowy Owl, Red Tailed Hawk, Pacific Loon, Red Throated loon, Grebe, Golden Eyes, Wood Ducks, Sandhill Cranes, Herons, Buffleheads, Mergansers, Egrets, Snow Geese, Mute Swans, Rough Legged Hawk, Canvas Back, Golden Eagles, Peregrine Falcon, Virginia Rail, Common Snipe and Great Horned Owl. White trumpeter swans and snow geese also converge on the productive Harrison region every winter. 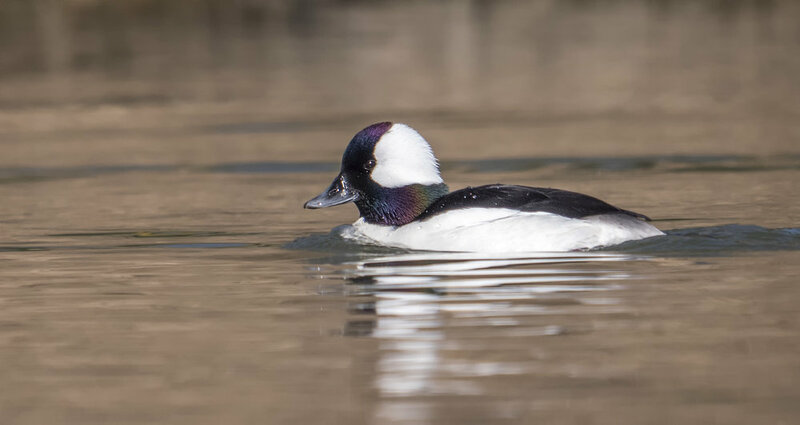 These birds migrate to the Harrison Valley during the cold winter months, feeding mostly on corn left over from the fall harvest. Trumpeter swans and snow geese are often spotted swimming in the region’s many sloughs or feeding in the corn fields along the roads we drive on during the workshop. We will focus on planning for a successful bird of prey shoot... from clothing, to gear, to positioning and planning techniques. When we are out photographing raptors we will discuss camera settings, holding your camera properly and what settings to consider using to maximize the number of shots that you consider a "keeper". We will also discuss bird habits to watch for to increase your success. When we return to the hotel we will then open up our laptops and discuss editing techniques to achieve sharper images, composition from cropping and introduce you to some techniques we use to create more appealing images. Not Included: International or domestic airfare. Travel Insurance, Alcohol, Items of personal nature, Anything not outlined as included. Deposit: $1000 CAD deposit per reservation. The final installment to be made 90 days prior to the start of the workshop. We begin the tour with a welcome meeting in the afternoon of day one as we get to know everyone and discuss the plans for the coming days. For the next five days we will make frequent visits to the different viewing grounds. Once on site, your instructors will utilize their knowledge of the area and the eagles; then guide you to that perfect location for obtaining your “once in a lifetime” shot in the picturesque British Columbia scenery. We can also head out to some of BC's pristine landscape and waterfall photography locations in the lower mainland of British Columbia. Day One Events - Pick Up attendees from the Abbotsford Airport in Abbotsford, British Columbia and transported to our Hotel in Harrison Hot Springs. You should arrive to be picked up before 11am. Meet and Greet Lunch for group at resort (included) after a photography shoot session with the eagles along the shores of the rivers. Day Two Events - Today we will be visiting all our scouted locations where the eagles traditionally hunt and rest. Expect to be out photographing eagles from 730am till 330pm. Day Three Events - Half of the day we will spend at the Delta Dykes or George C Reifel Bird Sanctuary and the other half of the day we will be visiting our scouted areas where the eagles traditionally hunt and rest. Night time editing session to look at your photos and help you make adjustments to capture better photos. Day Four Events - Today we will be visiting all our scouted locations where the eagles traditionally hunt and rest. Expect to be out photographing eagles from 730am till 330pm. ﻿Day Five Events - We will be out photographing eagles at the various locations we have scouted until noon. After that we will take you to the airport. Please schedule your departures after 3pm and you will be transported to airport after one last morning photographing the eagles along the flats of the river’s edge. If you are ready to see the largest Bald Eagle Migration in North America, or have some questions, please click on the button below.